I'd like to thank everyone who stopped by and left me a comment! 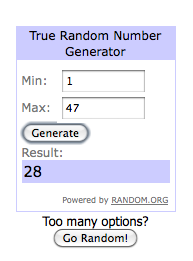 The winner is number 28. And since I added numbering to my comments, it's easy to see that Our Bust Little Bunch won! !